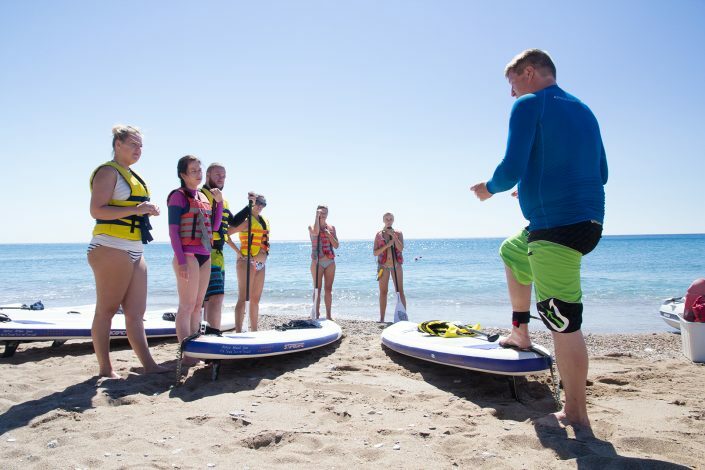 The SUP lesson will start on the beach with a short safety briefing and demonstration of the basics of paddling. 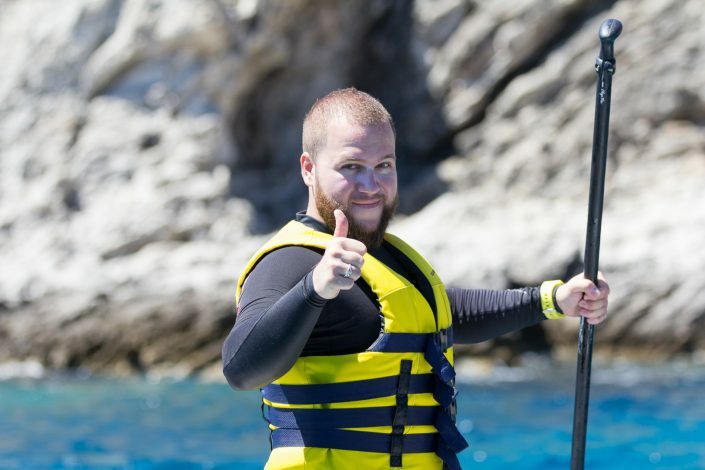 Then together with your instructor you will head to the water for your first tries. 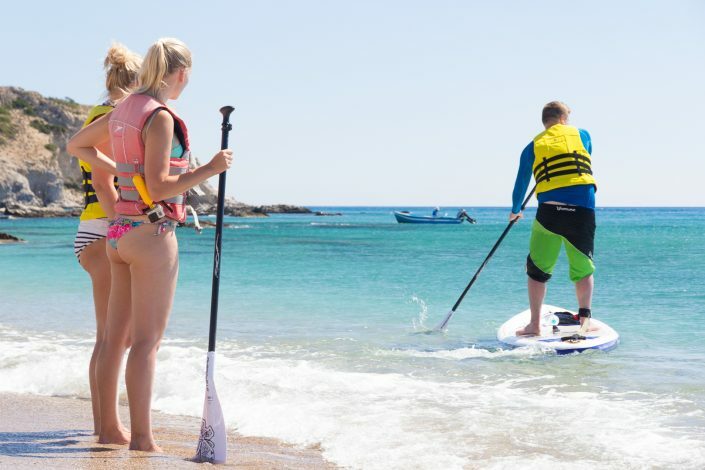 You might find keeping your balance standing up a bit tricky at the start but with some practice and help from your instructor you’ll be gliding over the water in no time. All participants should be in general good health and able to swim.